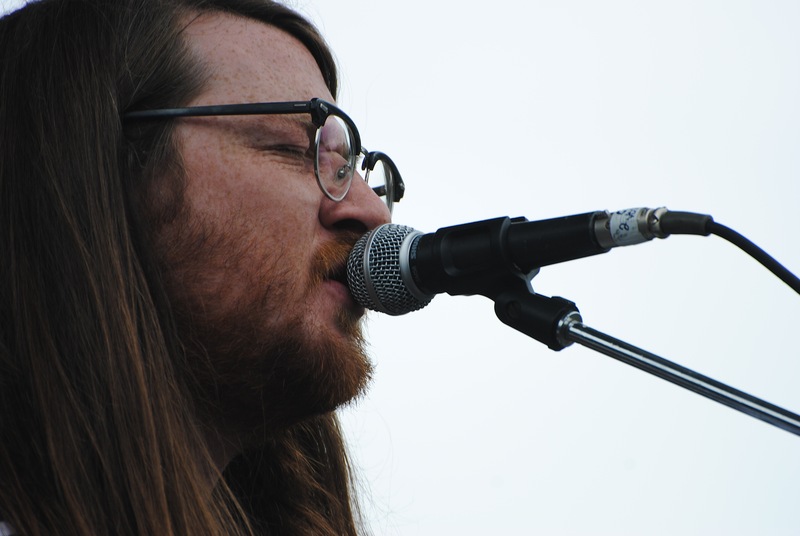 Kicking off the fourth and final day of Toronto Urban Roots Fest, The Wooden Sky played an 11 a.m. set to a dedicated group of concertgoers. The band opened with “Child of the Valley,” then playing through tracks like “(Bit Parent),” “City of Lights/Dancing At My Window…,” “Take Me Out,” and the call and response-friendly “Oh My God (It Still Means A Lot To Me)” before closing with “Something Hiding for Us in the Night,” perhaps intended as a nod to the acts that would follow. It was an early set, but one worth waking up for. For those with festival wristbands that aimed for the authentic Flogging Molly experience the night before, The Wooden Sky’s soothing folk probably served as the stuff of good hangover remedy, too. This entry was posted in Burden of Salt and tagged Fort York, Garrison Commons, music festivals, The Wooden Sky, Toronto Urban Roots Fest, TURF, Wooden Sky on July 14, 2013 by Tom Beedham.